Deliver a feeling of rich hydration for a look of luminosity with this blend designed to give a brightened appearance. 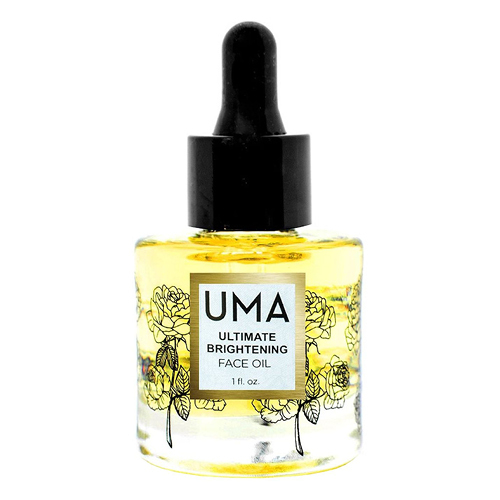 Vitamin and antioxidant rich oils, such as; rose, frankincense, orange and neroli, offer a reparative quality for a radiant look. A delicate yet indulgent blend, it contains organic and single estate grown ingredients, distilled and bottled in India. Crafted in a base of pomegranate seed oil, makes for a non-greasy, nourishing feel. While an abundant infusion of rose oil makes this sweetly scented and moisturizing. This formula is especially effective for those with dry skin. Every morning and evening after your cleansing routine, massage 2-3 drops between your palms, and gently pat in a firm circular motion all over your face, neck and décolletage. This may be used on its own or as the final step in your moisturizing routine. All Organic Frankincense Essential Oil, Neroli Essential Oil, Rose Essential Oil, Sandalwood Essential Oil, Lavender Essential Oil, Juniper Berry Essential Oil, Geranium Essential Oil, Orange Essential Oil and Clary Sage Essential Oil in a Pomegranate Oil Base.